Mary Lavin, first published in 1967, wrote about women in states of solitude and independence. She was considered avant-garde in her time, but I find her writing to be particularly poignant today, amidst the chaos of change between men and women. 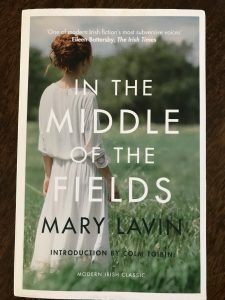 This free teaching (click here), explores the Lavin short story, In the Middle of the Fields, which is the title story of the collection by the same name. To read the story (which I recommend to fully enjoy this teaching), click here. Also, we are looking at the Chapter One lesson from Francine Prose, Reading Like a Writer, which you might also go out and get!